A lot has happened in the world of Minecraft since the last big update came around. For starters, Microsoft purchased developer Mojang for $2.5 billion. That sums it up pretty well, actually. But don't fret, Minecraft Pocket Edition is still alive and kicking on Google Play. 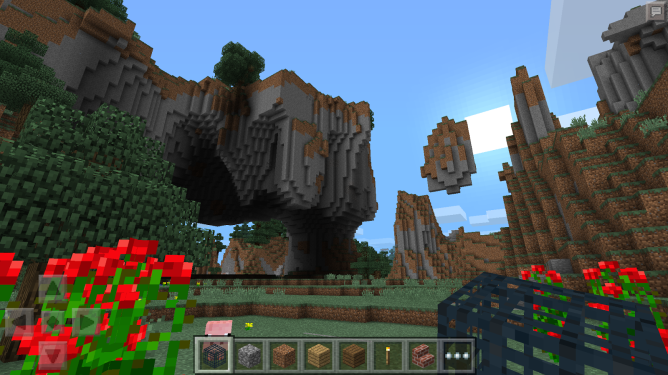 The folks at Mojang have been hard at work, and they're now pushing out version 0.10. The changelog for this one is going to blow your mind. We're talking "more watery-looking water" and "foggier-looking fog." Not only that, you get "even more particles than before." Tinted lighting now reflects on the environment and the baddies that roam it. On the gameplay front, players have more fences and gates to build. Some may even notice improved performance. Also, baby animals should no longer sink when they try to swim. All of this is contained within the usual $6.99 download, available underneath the changelog below.